Q. How do I sign out of the OAL computers? 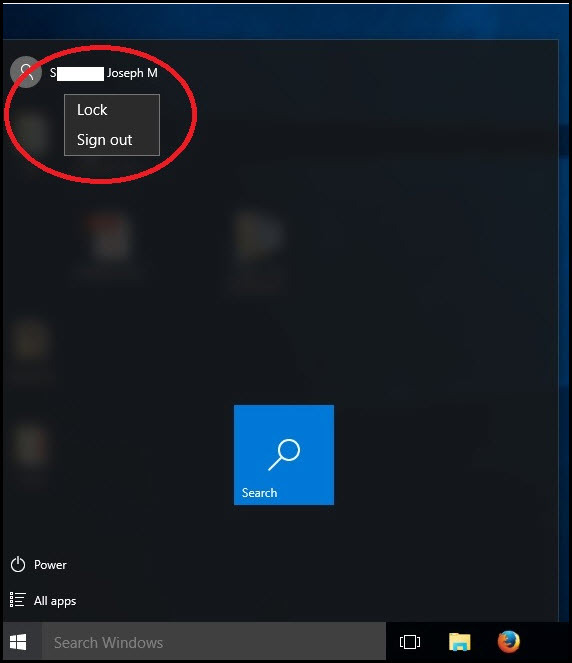 Left-click on the Windows icon on the lower left-hand corner of your screen. Left-click on your name, whish is located at the top left-hand corner of the box that appeared. (Please the image below).